Most people associate the deadly gas carbon monoxide (CO) with wintertime when heating systems are running. In reality, avoiding carbon monoxide exposure is a year-round challenge. CO is the byproduct of the combustion process caused by burning wood or fuels. Exposure isn’t limited to heating systems. CO can also come from barbecues, lawn and garden equipment, boats, and vehicles. Once you’ve turned the furnace off for the season, check the water heater to make sure it’s venting properly. Look for a vent hood over the flue pipe that’s intact and examine the top of the water heater near the pipe. If you see condensation or rusting, the water heater may be pulling exhaust gases into the area instead of outdoors. If you’re not sure, have a professional test for CO levels. Avoid excessive candle usage during power outages in small rooms. CO levels could build to dangerous levels. Lighted candles also pose fire hazards and dangers for small children and pets. Close nearby windows when barbecuing on the patio or balcony and never barbecue in the garage or inside any other structure. Charcoal grills, in particular, emit a lot of CO that can drift indoors. Lawnmowers and other yard equipment also emit CO, but they’re seldom left in one place long enough for the exhaust gases to reach a dangerous level. If you’re working on gas-powered equipment in the garage, open the garage door and run a fan to circulate fresh air. Unlike homes, boats vent their exhaust fumes within close proximity of the people and pets onboard. Basic guidelines include sitting as far from the motor as possible when it’s running and never hanging off the back of the boat to body surf. If you’re onshore and smell exhaust fumes, move away quickly. This smell is a sure sign CO is present. The US Coast Guard recommends having CO detectors inside the boat to alert you to rising CO levels. Camping can be another activity where avoiding carbon monoxide exposure is critical. Sitting too close to a campfire exposes you to CO and symptoms may be mistaken for the normal fatigue experienced after strenuous activity outdoors all day. Position your tent at least ten feet away from your campfire. Warming a tent using a tent heater or a backpacking stove could emit enough CO to cause problems. 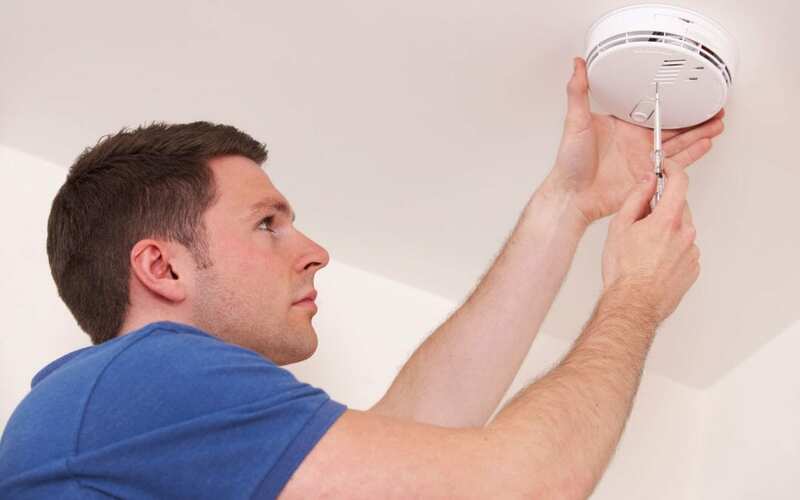 Homebuyer’s Inspection Service uses a carbon monoxide detector during inspections to determine any presence of this dangerous gas. Contact us if you would like to book an inspection.